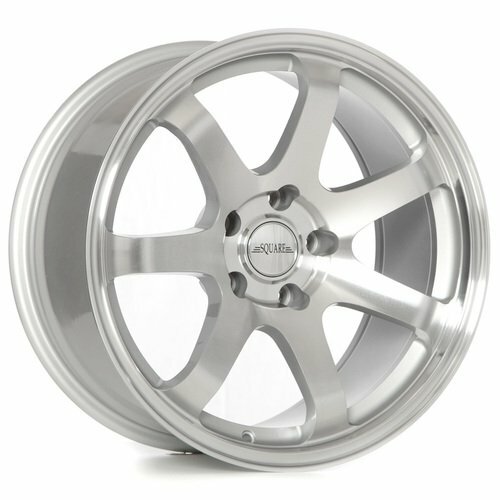 I am currently building a 2003 Mustang road racer and I am starting to plan what I would like to use for wheels. I have kind of decided I want to use 17x9's with my 5x114.3 bolt pattern in a +15 or thereabouts offset. I have based this on the stock Cobra wheels having a +26 offset, and I would like to go a bit wider track and still stay within the ST5 266 template, which is possible with a nine inch wheel. Not having to do too much fender modifications will also be nice, but I'm not afraid to roll the daylights out of them, either. I have a couple parts to my questions for the forum faithful. First, are there any Mustang racers who would care to share their wheel setups? I have found a company called Square Wheels USA, that have some decent looking and reasonably priced wheels - notably, the G8 that seems to be a good value as well as has the specs I want. They say they supply dealers, which explains why my emails have been ignored. Has anyone dealt with any of their dealers and are using their wheels? How do they stand up to racing? How do they clear bigger brakes? Finally, I would love to hear about other brands that you guys have used that are a nice balance between wizzy and thrifty. Thanks for the opinions, gang.